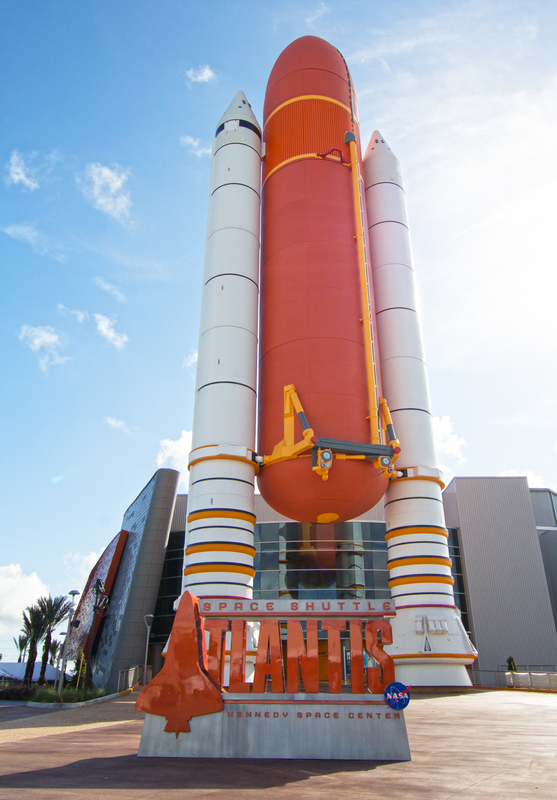 Entrance to Space Shuttle Atlantis Exhibit featuring twin rocket boosters and replica orange fuel tank (held 535,000 gallons). Towers 186 feet above entrance doors to exhibit. Boosters are anchored with piers that extend 50 feet into ground for safety during hurricanes. Kennedy Space Center, Florida.